Facets Cinematheque continues its Night School screenings in October with screenings of classic horror films Tonight's film is Nicolas Roeg's Don't Look Now and includes a pre-screening lecture and Q&A session after the film. The screening is at midnight, and admission is $5. See the Facets Night School page for a complete schedule. Facets: 1517 W. Fullterton (near Ashland). (773) 281-9075. 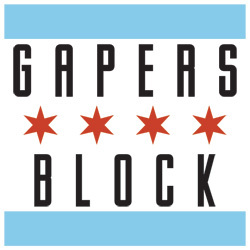 Chicago authors Peter Zelchenko, Hugh Iglarsh, Sharyn Elman, and John Banas will read their contributions from Down the Block, an anthology about city life. 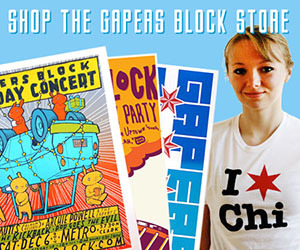 The event is FREE and starts at 7pm at Quimby's Bookstore, 1854 W. North Ave.
Get more info at here. Fans of The Trachtenburg Family Slideshow Players may remember Langhorne Slim, who accompanied the Slideshow Players on tours a few years back, and will be performing tonight at Lincoln Hall, 2424 N. Lincoln Ave.
Show starts at 10pm, tickets are $14. For information and tickets call (773) 525-2501 or visit Lincoln Hall. Join the Greater Midwest Foodways Alliance for a three-day spectacular learning series as they learn about the history, technology and future of beef--yes, beef! A range of demonstrations and lectures are scheduled throughout the symposium; attend as many as you like (admission price varies by event). See schedule for details. Most events will be held at Kendall College, 900 North Branch. RSVP by calling (847) 432-8255, or email. From 6pm until 9pm, Simple Gallery presents unreleased backgrounds, a show of Keith B. Evans' photography at Michelle Geoga Photography Studio, 2846 W. North Ave, second floor (enter side door on Francisco). Nashville musician Will Hoge rolls up to the Double Door with a new album in hand and some seriously beautiful songs to sing. Doors open at 7pm. Music starts at 8pm with Andrew Ripp and Jerome Holloway. More in Transmission. Tickets $15. Cell Camp presents "Dying to Find A Cure for Murder: A Cell Camp Benefit"
Murder kills millions each year, yet a cure for the disease has not been found. Comedy troupe Cell Camp is taking a stab at a formal benefit to raise awareness and funds to find the cure for murder. The benefit will feature guest speakers, a murder prevention symposium, a documentary of living with someone diagnosed with murder and a performance by dance troupe Funky See Funky Do. Right in time for Halloween, the event will take place tonight from 9:45pm-11:30pm at Studio Be, located at 3110 North Sheffield Ave. Tickets are $15 and will be available at the door, or email cellcamp@gmail.com to buy tickets in advance.